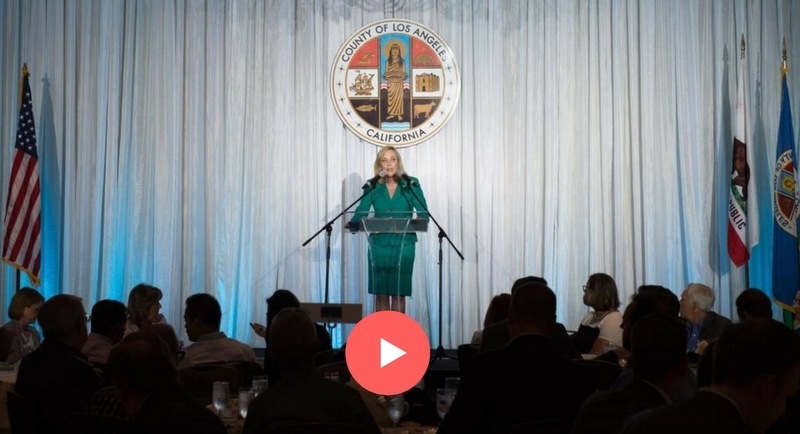 The Santa Clarita Valley Chamber of Commerce has hosted the State of the County Luncheon for 9 years, but this was Supervisor Kathryn Barger’s inaugural address. Supervisor Barger’s remarks focused on homelessness and mental health, public safety, economic development, and transportation and infrastructure. It also featured pre-recorded interviews with experts from each of the topic areas. The Supervisor then hosted a Q&A with the audience.